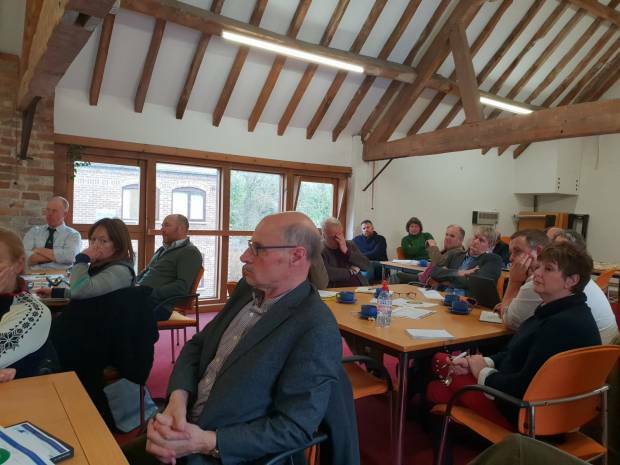 The National Sheep Association (NSA) last week hosted an in-depth day long discussion meeting with sheep breed societies, leading sheep farming players, as well as Defra representatives, to discuss the future of the stratified sheep breeding system in the UK. 1) Concern over disease and parasites, particularly resistance issues, is resulting in more farmers choosing to run closed flocks. 2) There is a lack of understanding of the value of upland breed traits within the cross bred ewe, and concern that some of these traits such as hardiness and o mothering ability may be becoming weakened. 3) Selling cross bred breeding sheep is a highly important part of hill farming economics – hill farming would struggle to survive without access to breeding stock markets. 4) While stratified breeding and hill farming may be traditional practices there is a lot that can be done to make use of technology and innovation – tradition and innovation can complement each other. 5) The environment and public goods agenda will be a very important part of the economics of hill farming, but it is important that the sheep farming that delivers this is commercial and productive – commercial sheep farming can deliver conservation objectives, but few farmers want to be conservation graziers. NSA is now breaking down the information gathered at the meeting and will continue its work on stratification around the five key points into 2019. A full report will be available in the next edition of NSA’s membership publication 'Sheep Farmer'.